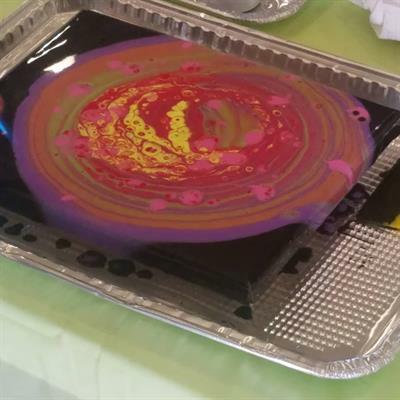 Students will learn how to do Acrylic Paint Pouring: including all the steps involved (in mixing, pouring, "stretching" and torching) to create beautiful paintings! 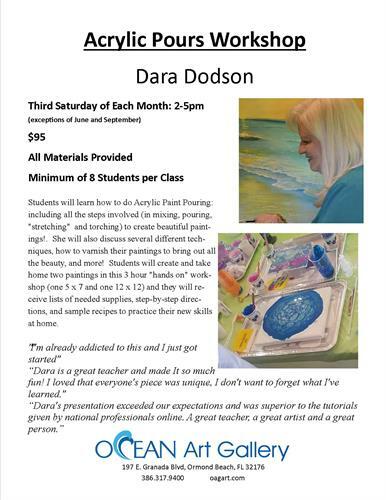 Instructor, St. Augustine artist, Dara Dodson will also discuss several different techniques, how to varnish paintings to bring out all the beauty, and more! 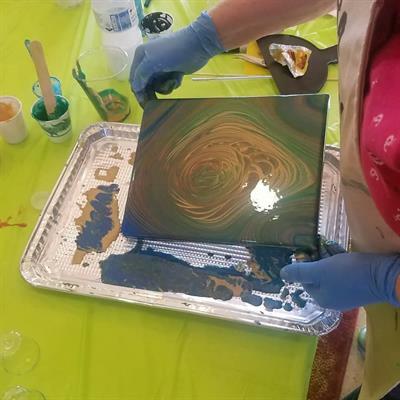 Students will create and take home two paintings in this 3 hour "hands on" workshop (one 5 x 7 and one 12 x 12) and they will receive lists of needed supplies, step-by-step directions, and sample recipes to practice their new skills at home. All supplies included $95. 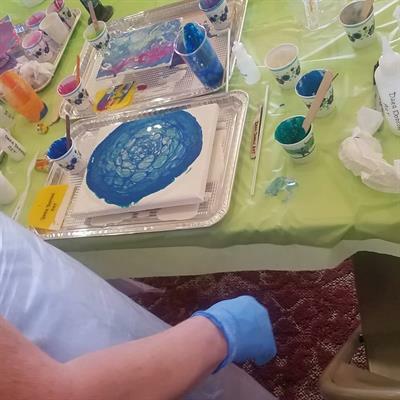 Third Saturday of each month. 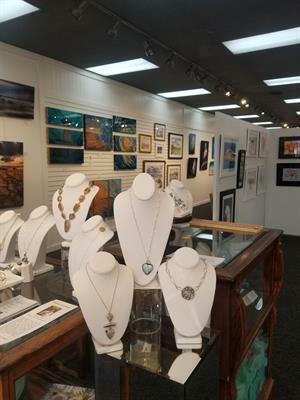 Visit oagart.com to view more and call us at 386.317.9400 to register!